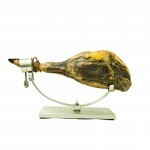 Spanish Iberian Ham de Bellota D.O. 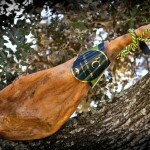 Spanish Iberian Ham de Bellota D.O. 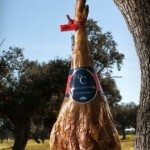 Ham of Acorn-fed Iberian pigs. 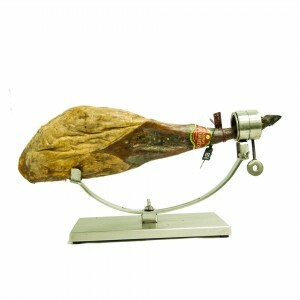 Salted and cured acorrding the traditional and natural way for a period of minimum 3 years. 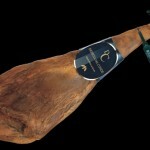 Its quality is exceptional and endorsed by the regulatory Council ‘Dehesa de Extremadura’. 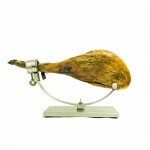 If you want the best of the best: this endorsed Spanish Iberian Ham de Bellota D.O. is it. 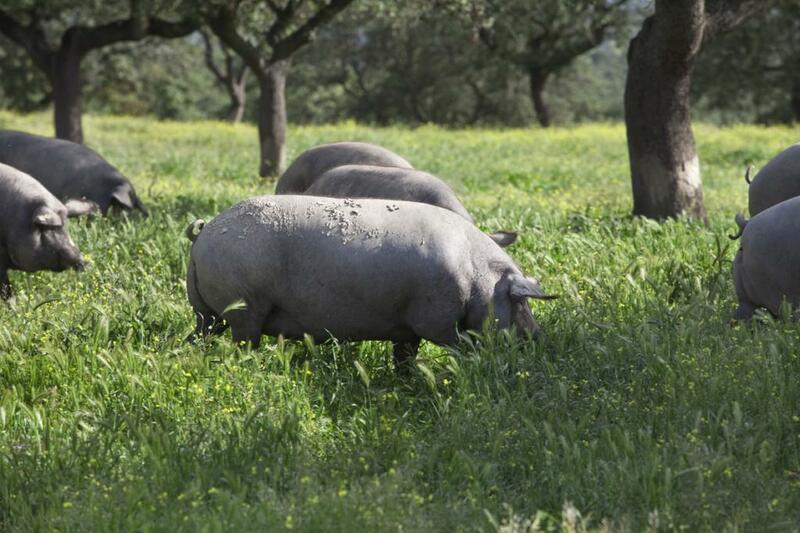 From Iberian pigs that are raised in freedom on the “Dehesa de Extremadura” (the oak forests of Extremadura) where they enjoy several acres for fattening using acorns (bellotas), grass, roots and herbs. These animals gain much of their weight in the final fattening phase, called la montanera, which is the use of the Acorn-period between the months of November and March. The result of the taste of this rear leg is unique and delicious with regular flecks of intramuscular fat which enhances the flavor. Because the Iberian pigs live on acorns, much of the fat is oleic acid which has been shown to lower LDL cholesterol (the bad) and raise HDL cholesterol (the good). All our products are securely wrapped and will be delivered in a box to any address you want. 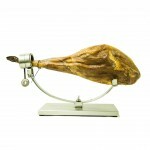 When you receive our package we recommend to unwrap the ham and place it in a ham holder or hang it in a cool, dry place. If you want it’s possible to keep the product wrapped in a cool, dry place for months. 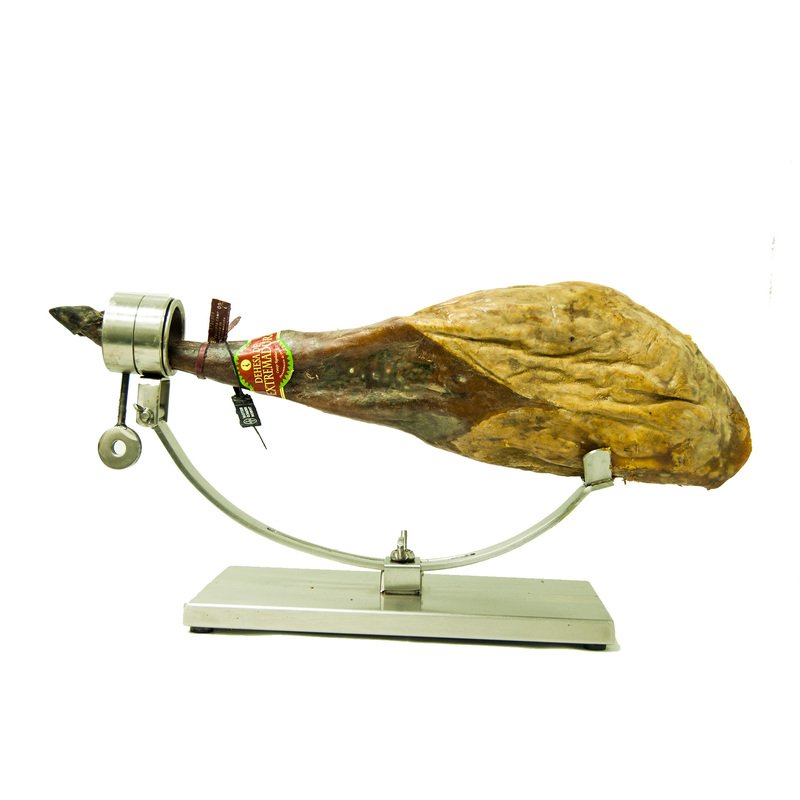 The best way to enjoy our Spanish Iberian Ham is sliced by hand from the whole piece. This rear leg can serve about 50 people at one event or can be enjoyed by several people for weeks when it’s well cared for. All our Spanish Iberian Hams are from 100% guaranteed Pure Iberian Pigs raised in freedom on the “Dehesa de Extremadura” (the oak forests of Extremadura). 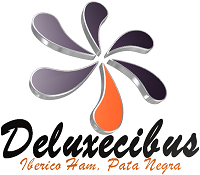 No mixed races, no cross-breeding, only 100% Pure from our unique breed of black Iberian Pigs. Which means that both the father and mother of our pigs are of pure Iberian breed and duly registered on the pedigree books by our official breeders. 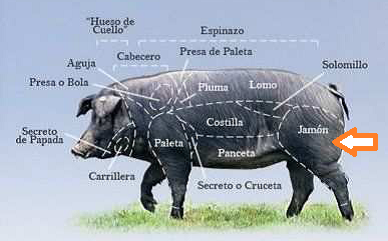 Because all our Iberian Pigs roam free on the dehesa it exercises its muscles naturally, together with the genetic ability to store fat in the muscle tissue it gives our ham that unmistakable flavour and texture. According to many the most delicious food in the world. And it is more healthy than you think! Be the first to review “Spanish Iberian Ham de Bellota D.O.” Click here to cancel reply.